I have seen various posts in the blog world about the yucca root. I hadn’t heard of it before and was intrigued. I saw that the yucca was being cut into fry shapes and then baked in the oven. I have posted numerous other veggies that I like to eat like fries, so why not yucca? 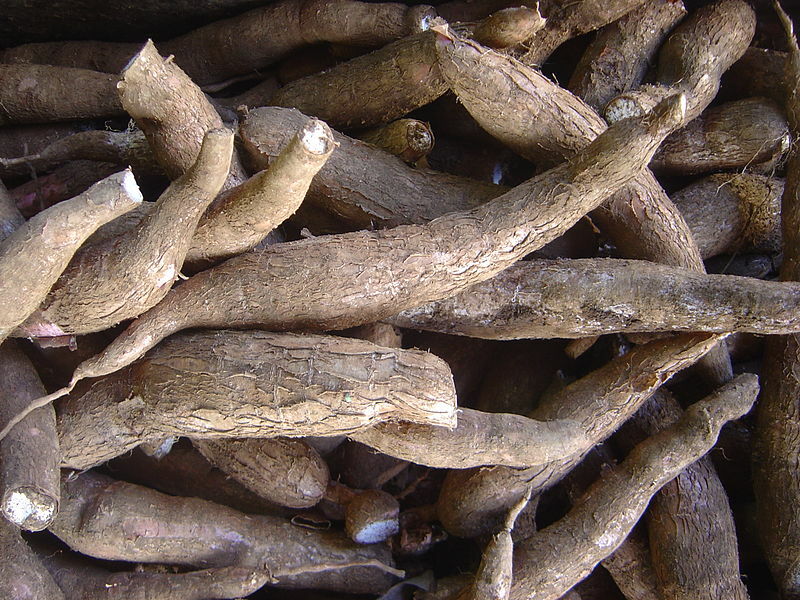 Yucca is also called cassava. Yucca is actually very familiar to those of us on a gluten-free diet. It is known as one of the most widely used gluten-free flours, tapioca! Yucca has a mild flavor and can be used in place of potatoes in soups, dumplings, stews, gravies & more. 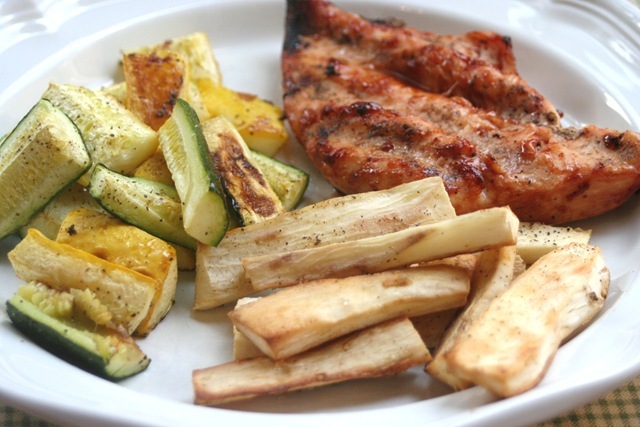 I chose to peel & bake/roast my yucca root last night to go along with my BBQ chicken breasts. Once I peeled the yucca, I laid out on a baking sheet that I sprayed with Pam and then sprayed the root itself with Pam. 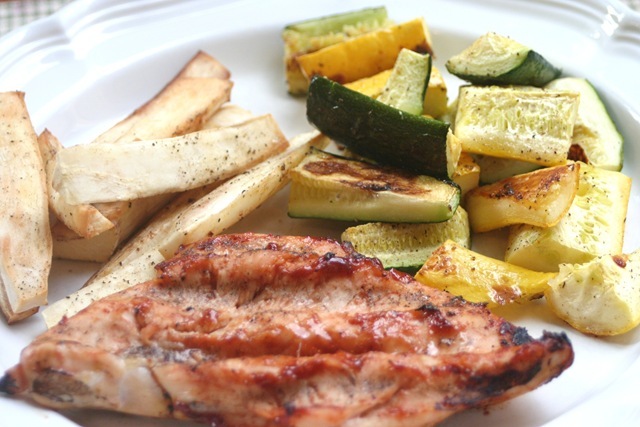 You could toss with EVOO & spices, too. I then seasoned with just salt & pepper, as I wanted a good idea of what the yucca itself tasted like. I baked at 400 or so for about 20 – 30 minutes, flipping after about 15 minutes and then checking every 5 minutes after that. I have to say that this is one of my new favorite forms of fries! Holy YUM!! The yucca fries had a crispier outside & a potatoey (is that a word?) inside. Super mild flavor. I dipped them in Organic Ketchup, but they would be good dipped in all kinds of sauces…..Frank’s Red Hot, Honey Mustard, BBQ, etc. Let me know if you give yucca root a try & how you end up preparing it. What is your favorite homemade fry? New article up on the Examiner. Interview with a gluten-free marathon runner getting ready to run her 14th marathon in a couple of weeks!